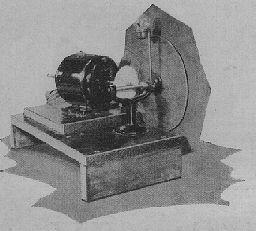 "While the great minds of science, financed by the by the biggest companies in the world wrestled with 19th century answers to a 20th century problem, Philo T. Farnsworth, age 13, dreamed of trapping light in an empty jar and transmitting it, one line at a time, on a magnetically deflected beam of electrons"
The idea of "pictures that could fly through the air" was not original to Philo T. Farnsworth. There's really no telling where the idea originated, or how long ago. But it's clear that once the industrial age gave us movies and radio, some sort of marriage of the two seemed inevitable. 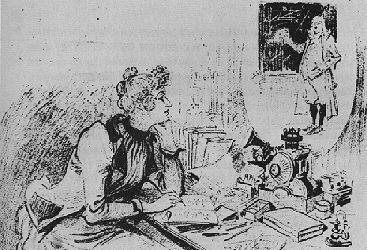 The term "television" is credited to a science writer named Hugo Gernsback, who published a number of "Popular Science" --like journals beginnng around the turn of the century. 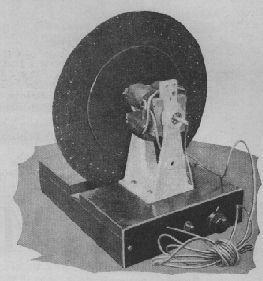 Before Gernsback, the idea had a number of fanciful names: "Radioscope," "Motion Picture by Ether Waves," "Radiovision" and "Telephone Eye," are some of the ideas that were being tossed around in the early days. What all these terms have in common what Marshall McLuhan called "looking through the rear-view mirror," or using old terminology to describe a new technology. The notion is accurate because that's precisely how the inventors, engineers and scientists of the day approached the challenge -- by trying to adapt existing old answers to an entirely new problem. To truly appreciate the magnitude of Farnsworth's genius, it is useful to look back at some of the fanciful approaches to television that the sprocket-hole mentality of the early 20th century produced. Here are a few of my personal favorites, drawn from the archives I compiled while researching the Farnsworth story. There's about a half-a-meg of graphics here, so give it some time to download. 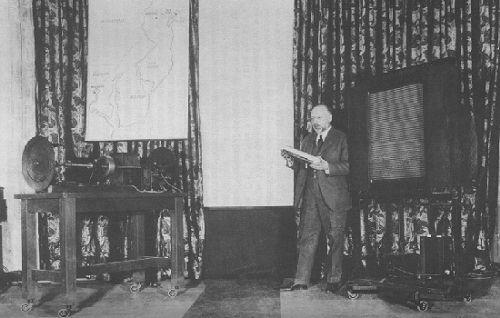 Among the early American pioneers experimenting with mechanical television systems was C. Francis Jenkins, pictured at left with one of his inventions from the mid-1920's. The caption for the photo at right reads, "The time is not far off now when inaugural ceremonies, ball games, pageants and other notable events may be seen reproduced in action on a small screen in the home there by radio." No mention of Lucy or Oprah. 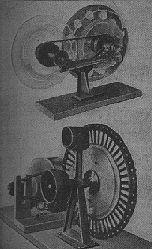 At left, the inner workings of an early Jenkins mechanical television system. 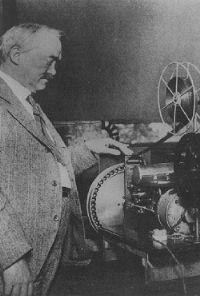 Below, Dr. Jenkins looks in on an evening's amusement on the home version of his invention. synchronize these mechanical television systems for optimum viewing. Below, a schematic for a mechanical television system, circa 1928. 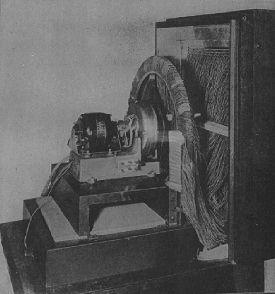 My personal fave, this contraption was developed by for Bell Labs in 1928 by Dr. Herbert Ives. This is the inside of a the receiver side of the system -- the wire harness sends individual electrical impulses to each of 2,500 external electrodes on the viewing side. 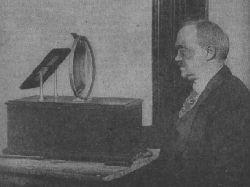 Below, Ives poses with the viewing side of the receiver; the transmitter side appears at left, and the inventor is holding a photo-electric cell which comprised the heart of this system. One account credits Ives as the "first man to fly the Stars and Stripes in color on a television screen." End of day sign-off, no doubt. Jose, can you see?